Of the four gospel writers, Matthew and John were there. Luke and Mark got the information from the apostles. They all agreed that Jesus entered the city of Jerusalem and people welcomed him as king. What is significant about this day? Matt.21:4 This was the fulfillment of a prophecy. The coming of the king of Israel (Messiah). The prophet Zechariah spoke about how the King Messiah would be known; how he will make his entrance. Jesus intentionally fulfilled the prophecy, this is the only time in his ministry that he allowed the crowd to hail him as king. John tells us that on one occasion people tried to force Jesus to become the king they expected. (John 6:15). This time Jesus let the crowd hail him king. It was time. People celebrated their expected King Messiah. (v.8) very large crowd spread their cloaks on the road, others cut branches from the trees and spread them on the road. People celebrated Jesus in such a way because they believed him to be the expected Messiah King. However, the expectation they had was not the same as Jesus’ expectation of his mission. The crowd expected a king like David, a revolutionary leader who would rise to power and challenge the Roman rule. 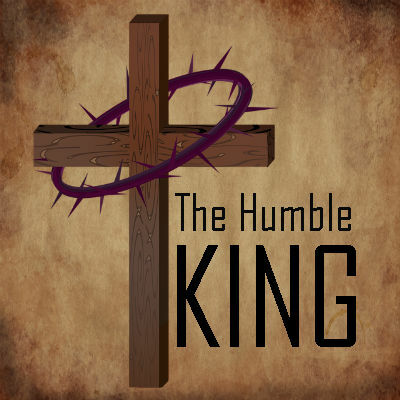 Jesus was the expected king, but when he entered the city, he did as a humble king, as the suffering servant that Isaiah speaks about. People had forgotten or not understood the prophecy. Your king is coming to you; righteous and having salvation is he, humble and mounted on a donkey. People missed the imagery of the donkey; leaders didn’t ride on donkey unless they were going on a mission of peace. Jesus is entering the city gentle and humble, on a mission of peace. It didn’t take long for people to realize that Jesus wasn’t going to do what they wanted. Jesus days later, they would shout to Jesus, away with this impostor, crucify him, crucify him. Jesus was and is the king that entered Jerusalem riding on a donkey, nearly two millennia. His identity is not depended upon your opinion of him. He is the king of Kings. A different picture now, the mission is not peace, but war against God’s enemies. God’s enemies are those who reject the offer of Salvation through Jesus. Refusing Jesus is to declare yourself an enemy of God.